Infinix Mobile, the premium smartphone brand from TRANSSION Holdings has globally announced the launch of its powerful flagship ‘Dual camera’ smartphone - Zero5. The stunning smartphone was unveiled at a glittering ceremony at FIVE Palm Jumeirah in Dubai. Infinix entered India in August 2017 with Note 4 and Hot Pro 4 & now with the launch of its flagship Zero5, the brand strengthens its premium portfolio and makes a strong entry into the large screen dual camera segment. Priced at Rs 17,999 for Zero5 and Rs 19,999 for the Zero5 Pro, this flagship smartphone aims to offer new benchmark in dual camera features that enable blur free, better focus photography with a greater depth & range of field. This is supported with latest in line specifications on the processing, display, battery and other fronts. 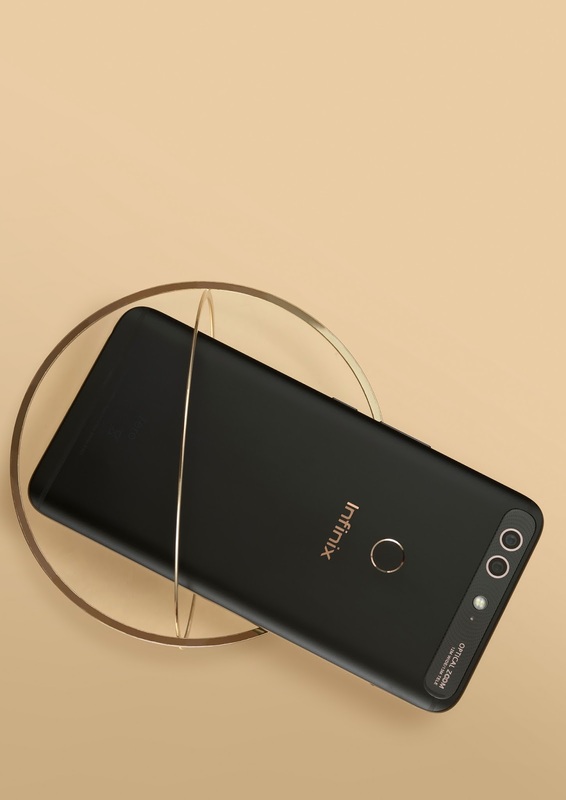 Infinix Zero5 is packed with a premium dual camera setup, which uses a 12MP wide-angle lens and 13MP telephoto lens and helps deliver a remarkable DSLR like experience. The 2x optical zoom, paired with up to 10x digital zoom, brings the object closer and enables clearer photography. The front camera of Zero5 is equipped with 16MP selfie camera with large 4in1 pixel technology, f/2.0 aperture and front flash for stunning selfies. Further adding to the phone’s finesse is its 15.1cms (5.98) FHD LTPS JDI display with Corning Gorilla Glass 3 protection. It runs on the latest XOS 3.0 Android Nougat powered by 2.6GHz Octa-Core Helio P25 processor with 6GB DDR4X RAM for bolstering speed and efficiency. It supports 4350mAh battery with 18W xCharge, fast charger solution. Along with its flagship launch, Infinix also introduces a whole new range of noise free wired & wire free headphones, available in two variants; Quiet 2 (Priced at Rs 2,499) and Quiet X (Priced at Rs 6,999). The Smart headphones are equipped with Active Noise Cancellation, a technology presently available only in super premium segments. This technology allows user to disconnect from the noisy environment with just a simple push / toggle button and offers pure audio experience. Having undergone 200 rigorous tests, these headphones do not detach when the user is in motion and are thoughtfully designed tailored to meet the needs of the modern day consumer. The Infinix Zero 5 will be available exclusively via Flipkart India at 12 noon starting from 22nd November, 2017. There will be an exclusive bundle offer for initial consumers of Zero 5 on launch day wherein Customer will have an option of buying Quiet 2 at a special offer price of Rs 1,499 and Quiet X at Rs 4,999.